America – still going strong at 48! The band America performed their folk rock songs at State Theatre New Jersey recently. They began in 1970, with their first album produced in 1971. The house was packed with die-hard fans. They opened with "Tinman" then segued into "You can do Magic" and at some point mentioned they were going to play all their hits for us, and they did! Listening to them was precious. I forgot all of their songs which are so rhythmically peaceful. A photo montage along with film clips of them, California, and American culture including the Three Stooges, I Love Lucy, and Martin Luther King Jr., among others was a nice touch. While all of the songs were my favorites,"Ventura Highway," "Lonely People," "Sister Golden Hair," and "Horse With No Name" were phenomenal. The original trio met at a high school in London, England where they were living with their U.S. Air Force families. 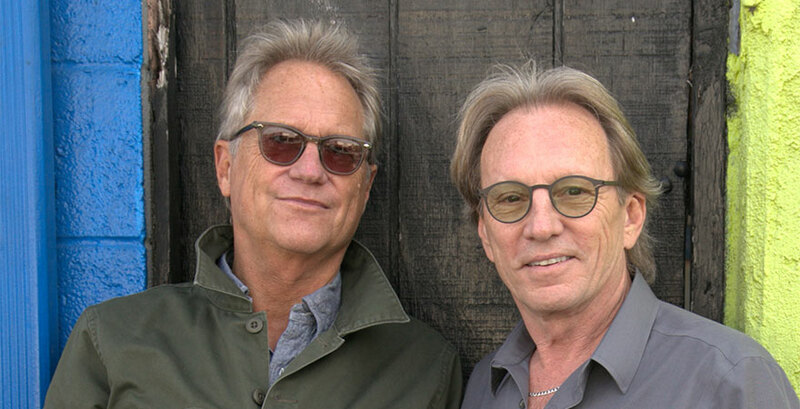 Two of the original players, Gerry Beckley and Dewey Bunnell, are still active while drummer Dan Peek retired a couple years ago. One of them remarked that they don’t know what retirement is, indicating there is no endgame to their touring which is an impressive 100 shows a year. I wonder if they chose the name America because they were in a foreign land when they formed the band, and it was a nod to our country. Drummer Ryland Steen has been with the band for a few years. He is a former member of the ska band Reel Big Fish. He brought a lot of enthusiasm and verve to the music; he was phenomenal in pouring his heart and soul into his playing. The entire band delivered a great show and the audience appreciated every moment of it. They worked with record producer George Martin for a good portion of their catalog. Martin, who died in 2016, was the producer of the Beatles entire catalog. The band played a nice rendition of "Eleanor Rigby." A nice tribute to Martin is on their website and it indicates the years they spent with him were good. They played the perennial Mamas and Papas’ "California Dreamin," also a nice rendition. The photo montage streamed behind with iconic ‘60s pictures which most Americans have seen over the years. They told of a time they were doing a show with the Mamas and Papas and the Beach Boys (their good friends) and it was discussed who would sing it, that’s how popular it is! They played "Horse With No Name" for the encore. The beautiful song with the melodic rhythm invokes a sense of peace, one of my favorites from back in the day. It was so popular in 1972 that they re-released their first album America to include it. It was a hit that carried a generation. Gracing the cover of that first album are Native Americans, a seeming tribute to the first residents of this great land.